IT is one of the industries that have been moving forward swiftly, tagging along the rest of the bunch. The United States Healthcare industry is a perfect example in this regard. It has recently incorporated speech recognition software in pursuit of creating a more seamless process of transcribing medical records of patients. The voice recognition software industry was a million-dollar industry in 2015. Today, is it a multi-billion-dollar industry, and growing, because it has been offering a major set of benefits to the US healthcare industry. Here are a few key benefits of speech recognition software for doctors. Having transcribers create medical records is a traditional, but time-consuming process. It deters crucial appointments and operations just because the medical record of a patient is taking time to get ready. Medical voice recognition software ensures that this time is not wasted. It allows doctors to transcribe reports in real-time, allowing them to make a quicker decision where necessary. Contemporary speech recognition software has become far more advanced, featuring a large pool of medical vocabularies. This is accompanied by technologies that ensure the least amount of errors in the process. Blending all of this together, medical speech recognition software allows a doctor to elevate their work efficiency to better standards. 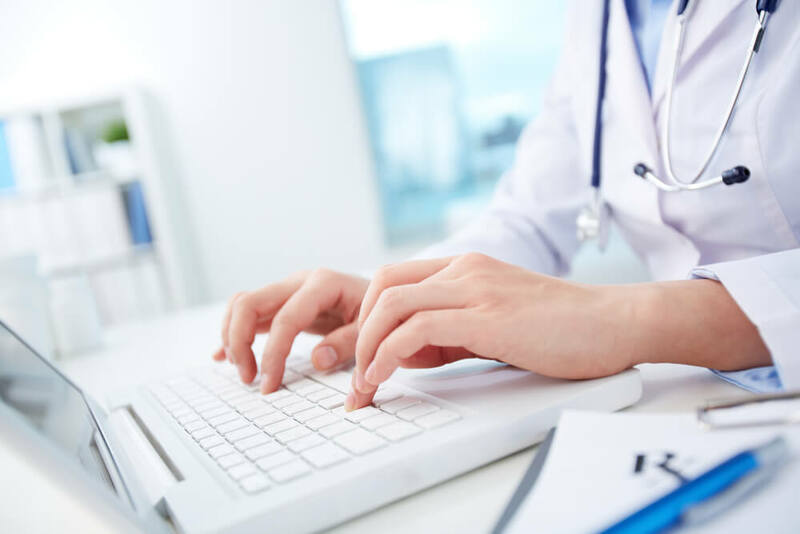 Traditionally, doctors have been hiring professional transcribers to get the job done for them. This not only wastes a great deal of transcription time, but also costs more, not to mention the human-error factor that comes along. Speech recognition software is a one-time investment which can save you from routinely occurring costs. Among the key reasons why doctors have been determined to use speech recognition software is that they are quite simple to deal with. Furthermore, since the doctors are working on the records themselves, they know more about each and every patient which consequently results in better understanding of cases. In short, it saves a lot of effort for both the doctor and his/her staff, an effort that can be put to a more productive use. Another area where voice recognition software comes in handy is that doctors don’t have to stick to a certain station to get the information transcribed. Modern cloud software allows them to do it while on the go. This makes things far easier for doctors, allowing them to make the most of their time. A recent survey revealed that over 35% of the doctors today have already begun using their cell phones as the preferred device for transcription. An average doctor documents over 7 million words a year. Think how much time you would waste having someone type it out. If you want to make efficient use of your time, get your voice recognition software from Total Voice Technologies. We have a wide range of software specifically designed for a medical professional. If you want to place an order, reach us at 1-888-831-0088. We have been in the industry for over twenty years now, and are known for offering the best speech recognition software in the market. Discover the benefits of voice recognition software in healthcare for yourself!